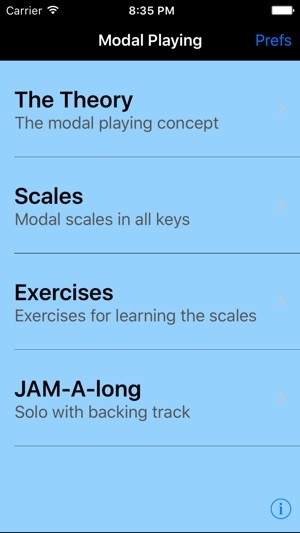 iImprov-Modal is the 2nd release from Jazz Apps Mobile LLC. 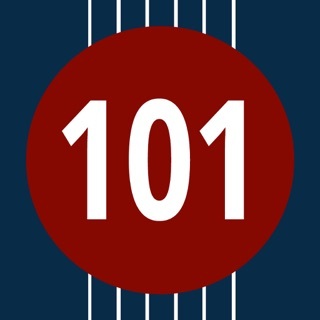 It is part of a series created for jazz musicians of all levels to help them take on specific challenges that any improvising musician will encounter. Each one contains a full explanation of all the concepts and theory involved as well as written and audio examples and exercises. 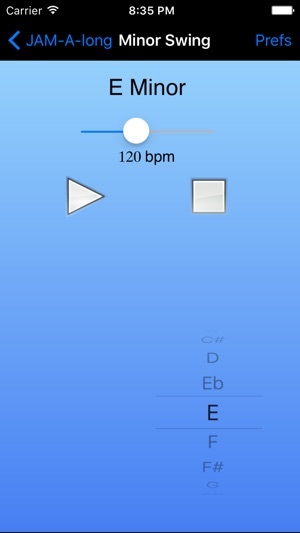 Each app contains JAM-A-longs in all keys with adjustable tempo and control of instrument balance. 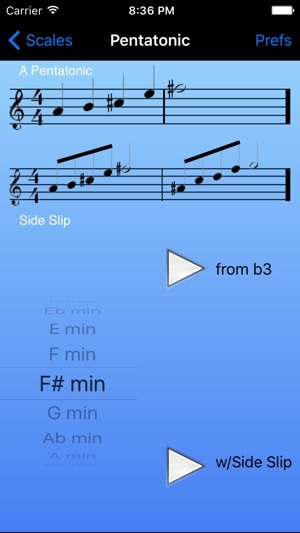 Each iImprov app also allows you to select the correct transposition for your instrument. 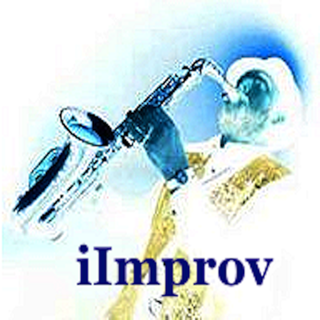 iImprov-Modal specifically provides the tools for confidently playing over modal tunes. The main focus of the app is playing over minor modal tunes, however we have also covered playing over 7 sus 4 modal tunes and Major 7#4 tunes. Exercises and JAM-A-longs specific to each of these types of tunes are included. Full explanation of the concepts involved. Detailed theory of note to chord relations and use of modal scales. Audio and visual representation of the related scales. 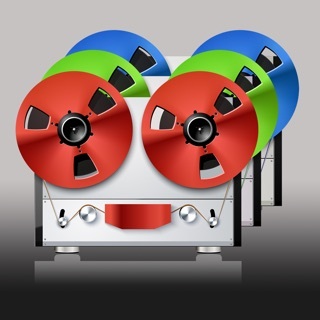 Audio playback of the scales played over the appropriate chords. Exercises that include live audio examples from saxophonist Tony Bray. JAM-A-longs for Minor Modal (Swing and Funk). JAM-A-longs for 7 sus 4. Each JAM-A-long was recorded individually in order to give variation for each key. Mixer control for the JAM-A-Long instruments. Tempo control for each JAM-A-long. Playalongs now continue after the screen is locked. Missing Most modal scales Ionian Dorian Myxolidian etc. Money back! Like the app for the Minor ii-v progression, this is one of the best apps I have seen for jazz theory and practice. 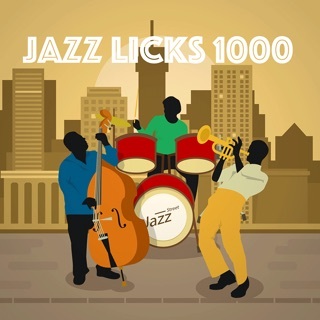 I like how the developer has isolated a useful element in jazz improv, provided clear explanations and examples, and then also provided audio examples and backing tracks. The app provides good practice advice for how to learn and implement the improv skills in the app. 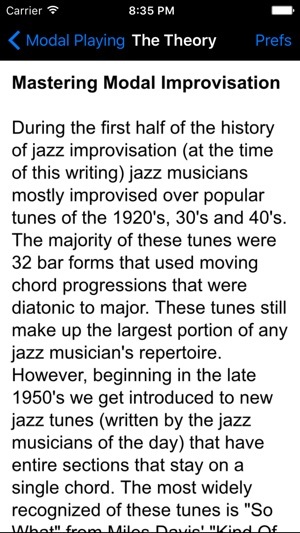 This is a serious jazz educational tool created by someone who is obviously a working jazz musician/educator. Highly recommended.